"What is the greatest warship of all time and why?" Though what makes a warship great is highly subjective, our readers offered their education and expertise to put forth their ideas as to what the answer to that question should be. And with nearly 900 reader-generated answers and more than 26,000 votes, the results are in. The answers fell into several themes. Aircraft carriers, whose use in World War II revolutionized naval warfare and strategy, were the most common. Similarly, a common theme was the ships of the two World Wars and of specific navies such as the U. S. Navy and the Royal Navy. But one ship in particular unquestionably led the poll in all aspects: USS Constitution…"
The Graf Von Goetzen -converted Lake Steamer in German East Afrika scuttled =raised in 1922 ,and still sails the waters of Lake Tanganyka as the SS Liemba.Was armed w/ a 4.1 from the S.M.S.Koenigsberg. It's completion made every other battleship in the world obsolete. US publication… few Brits have heard of the Constitution, our Napoleonic ship was HMS Victory. No mention of HMS Warrior? Don't think I could answer this question – depends on era, own nationality, etc. Also, what do you mean by greatest? Greatest innovation, greatest battle record? So, 19thC I'll go for Warrior – outclassed everything when it came out. Likewise, Dreadnought for 20thC – outclassed everything at the time. Didn't go for a carrier because they evolved over the years. Enterprise may be an American greatest, but the British would probably go for the iconic Ark Royal – eventually sunk, but fought for quite a while in probably the most dangerous seas around. I'd have to go with the HMS Dreadnought. My main knowledge of the USS Constitution is from Fallout 4. It's a list by Americans, so does the fact that an American ship is top surprise? Ochoin and GM are right, the two greatest have to be Dreadnought and Warrior. Honourable mentions would go to..
Warspite for battleships with a nod to Victory. Both actually fought and fought well whereas Dreadnought only ever rammed a submarine and managed to miss Jutland. Enterprise (CV-6) for aircraft carriers, nothing else close. For cruisers, lots of choice from Constitution and Shannon through Warrior and Sheffield. Nothing special about Dreadnought except finished first. Several other nations had all big gun ships on the board and the South Carolina was actually laid down first and was a much better ship. Only Jackie Fisher pushing an accelerated construction made her technically first. Dreadnought was a relatively poor battleship and nothing great beyond simply a technical construction achievement. The QE's were the greatest of BB's for longevity and actual combat with Warspite the best record of the class. If you think subs currently 'rule the waves' (you know what I mean) how about Cornelis Jacobszoon Drebbel's (1620?)effort? What you say about the HMS Dreadnought may have a small germ of truth but after all, battleships for a time were called "Dreadnoughts", not "South Carolinans". I think this says something. USS Monitor. Introduced the turret. Because it still sails, after over 200 years of service. Warspite is certainly up there. "USS Monitor. Introduced the turret"
No, that was HMS Trusty in 1860. We have a clear definitional disconnect going. Does greatest mean technical achievement (Dreadnought, Monitor, Nautilus-the first nuke sub) or historical achievement? 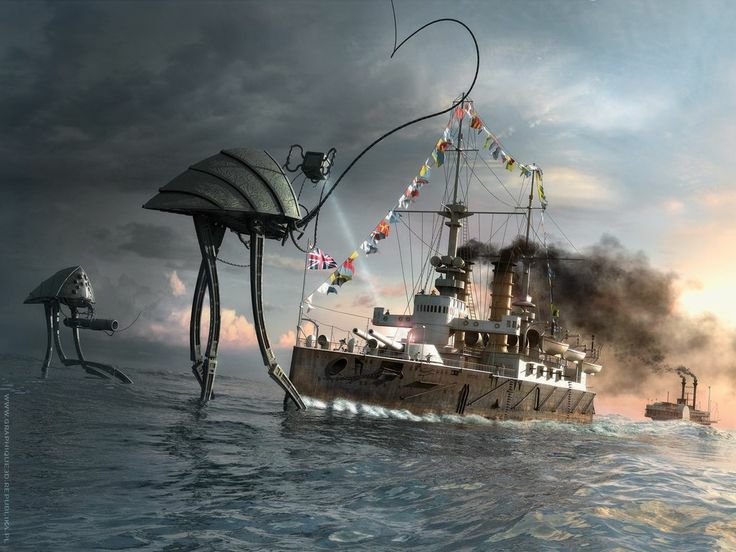 Dreadnought and Nautilus did essentially nothing beyond introducing a new technology. Monitor was and is used to describe a class of ship to this day, from Hampton Roads through Vietnam but other than that one glorious day in which it earned a hard fought tie, it had a short and from that day on, uneventful career yet for shear length of useage of the name as a class descriptor, lasted almost a century longer than dreadnought. Warspite, Enterprise, Cossack, Constitution, Exeter, Victory, Bellerophon, Temeraire and Queen Elizabeth all fought in decisive battles, in some cases, several. Ironic that they show the Iowa when I believe the New Jersey is the most decorated US ship. USS Enterprise (CV-6) 20 Battle Stars, USS New Jersey (BB-62) is most decorated "Battleship". "It's a list by Americans, so does the fact that an American ship is top surprise?" Yes, because the British NEVER pick their own equipment as best. The Monitor made entire fleets obsolete overnight. Doesn't the French Gloire predate both the Monitor and the Warrior? Monitor as a class descriptor yes, but don't hear of 'pre-monitors' and they are basically quite a minor specialised class of vessel. Also, don't think any other ship has been called by that name. Dreadnought led to super-dreadnoughts, then the British used the name for it's first nuclear sub. I don't like any of these choices. I vote for 'Sovereign of the Seas' in 1637. I believe there was at least 5 ships named HMS Dreadnought before the one in 1906 that were primarily Ships of the Line including a Nelsonian period one and a turreted ironclad in that 1870-1895 transitionary period. 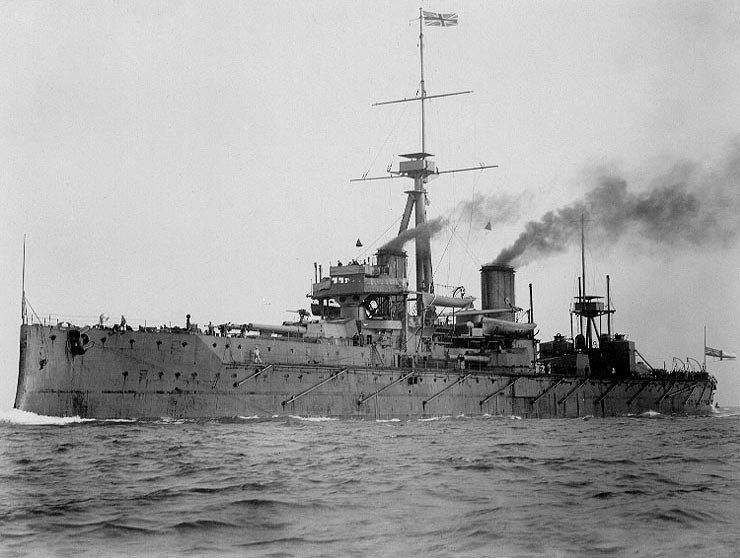 The 1906 HMS Dreadnought was the 6th of that name at least. Note some were renamed ships, others final dates are when broken up rather than taken out of service. Carriers created the coffin for the battleships, and the USS Enterprise (CV6) was the best of them all. Its all about context, people…. Depends on your definition of great, and is it the ship or the leadership & crew? HMS Speedy under Cochrane defeated the Spanish xebec frigate Gamo, a colorful career for both before and after. Also have to say I've been captivated by the story of the Bismarck. Always loved the Battlecruisers of Jutland. Beatty's and Hipper's. Seydlitz did her job & just refused to die, limped home despite catastrophic damage. So many great ships and crews there's really no wrong answer. Victory, Enterprise, Constitution, Agamemnon, New Jersey, Laffey, Dreadnought, Providence, Johnston…somebody stop me! HMS Victory is the first ship that comes to mind for me, so I will go with that. It is certainly one of the most famous ships of all time. But in the spirit of bringing something new and interesting to the table, I will go for HMS Li Wo, a river steamer pressed into service by the Royal Navy during WW2 and which took on a convoy protected by a Japanese 6" light cruiser and two destroyers. HMS Li Wo had one 4" gun – and only 13 shells! "The King has approved the award of the Victoria Cross to: The late Temporary Lieutenant Thomas Wilkinson, RNR. On February 14, 1942, HMS Li Wo, a patrol vessel of 1,000 tons, formerly a passenger steamer on the Upper Yangtze River, was on passage from Singapore to Batavia. Her ships company consisted of 84 officers and men, including one civilian; they were mainly survivors from His Majesties Ships which had been sunk, and a few units of the Army and R.A.F. Her armament was only one 4in. gun, for which she had only 13 practice shells, and two machine guns. Since leaving Singapore the previous day, the ship had beaten off 4 air attacks, in one of which 52 machines took part, and had suffered considerable damage. Late in the afternoon she sighted two enemy convoys, the larger of which was escorted by Japanese naval units, including a heavy cruiser and some destroyers. The commanding officer, Lieutenant T. Wilkinson, gathered his scratch ships company together and told them that, rather than try to escape, he had decided to engage the convoy and fight to the last, in the hope that he might inflict damage upon the enemy. In making this decision, which drew resolute support from the whole ships company, Lieutenant Wilkinson knew that his ship faced certain destruction, and that his own chances of survival were small. HMS Li Wo hoisted her battle ensign and made straight for the enemy. In the action which followed the machine guns were used with effect upon the crews of the ships within range, and a volunteer gun's crew manned the 4in. gun, which they fought with such purpose that a Japanese transport was badly hit and set on fire. After a little over an hour HMS Li Wo had been critically damaged and was sinking. Lieutenant Wilkinson then decided to ram his principal target, the large transport, which had been abandoned by her crew. It is known that this ship burnt fiercely throughout the night following the action and was probably sunk. HMS Li Wo's gallant fight ended when her shells spent and under heavy fire from the enemy cruiser, Lieutenant Wilkinson finally ordered abandon ship. He himself remained on board and went down with her. There were only about 10 survivors, who were later made prisoners of war. Lieutenant Wilkinson's valour was equalled only by the skill with which he fought his ship. The Victoria Cross is bestowed upon him posthumously in recognition both of his own heroism and self sacrifice and of that of all who fought and died with him. Lieutenant Wilkinson, who was 44, was the youngest of five sons of the late Captain William Wilkinson, of Widnes. His VC is the 181st awarded in the war, and the 22nd won by the Navy." Agree on the point regarding context. If it is innovation then the Sovereign of the Seas was the flagship start of an era. If the poll is based on fame and historical context I would go with Victory. How about the first log that a human sat on as it floated down a river, and started all this! I can see all of the above being great in some way to some people at sometime. Could "Greatest" mean 'caused the most angst in a period'? Then throw in the Bismarck and/or the Tirpitz. Otherwise for iconics: American = Constitution; British = Warspite or Victory. 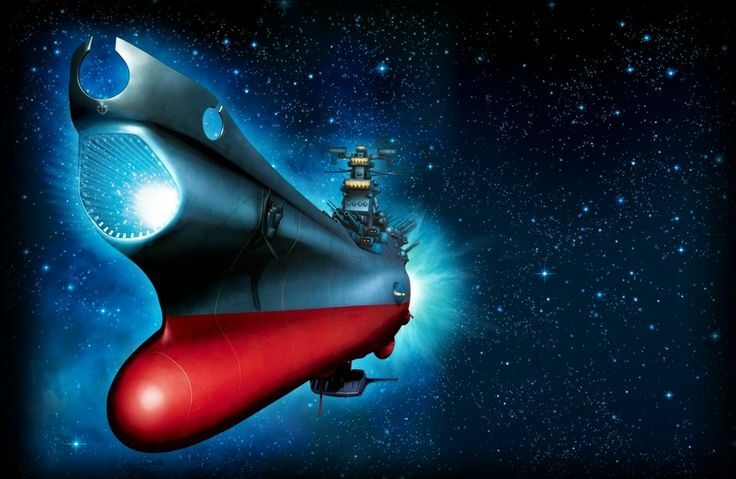 EDIT: for the 'angst' category: the Yamato. How about the first log that a human sat on as it floated down a river, and started all this! There was no distinction between warlogs and cargo logs at this time, so you have to go just a little forward in history. I would go along with most of those choices but I fail to see what was so great about Constitution defeating a ship that had half her weight of broadside. I would probably have gone for Indefatigable . I am also sure some German U boat like U47 would take the accolade for submarines as well. Before you pick the ironclad, the Monitor, after all, the Virginia was it's equal and at the same time, you would have to pick the Korean Turtle Ships. They were the first ironclads built in the 1600's. They truly obsoleted all wooden ships. PHGamer if the Virgina was Monitor's equal as you say then why didn't it defeat the Monitor? It's true the Virginia scored a few hits but they for the most part bounced off causing some dents but not a lot of actual damage and the same for Monitor although most of Virginia's damage was due to the Wooden Warships at Hampton Roads. Now it's true that both sides claimed victory but you could say that this battle was a draw. I suspect that there are lots of greatest ships. Each one being the next step in the evolution of warship design and makes all other ones before it obsolete or very nearly. I've often argued that Warspite wins any discussion about Great active warships, but if by 'Greatest' you mean the ship that had most influence on naval warfare it has to be the USS Monitor. Several people have mentioned the Monitor as an (the) all time great warship. Never sure why. Not the first ironclad built, or indeed the first ironclad warship in action, that would be the French Devastation class in the Crimean War. Calling her a ship at all is a bit of a stretch. Both the Gloire and Warrior, which were built before her were able to sail safely away from protected waters. When the Monitor tried this she managed to sink herself – not a very good advert for an 'all time greatest' ship. Yes she had a turret, but her turret design was not the forerunner of the latter design of 'covered armoured barrbette' design that battleships were armed with. What does make the Monitor even worth considering in such a conversation? …if the Virgina was Monitor's equal as you say then why didn't it defeat the Monitor? Barin, I heard a similar comment from our guide. 1 shot and she ruined the country . Surely the greatest warship of all time, is the one that won the last, and most recent, battle? This renders all others before it obsolete.Time and technology is always moving on, therefore it is impossible to relate a ship of two hundred years ago to one of the modern era, everything being relative. I think this is a bogus question, like how long is a piece of string ? Warships and there technology have taken great leap forward Warrior and Dreadnought where both quickly surpassed, I think this applies up to the modern age. May be the question need to be about the men how man them ?